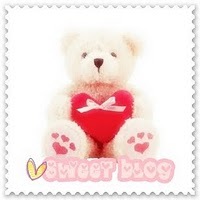 winnietsuii: Sweet Blog Award + 60 Followers Mini Giveaway! And of caz everyone who has been supportive and sharing love. I really enjoy blogging here hehee and I love love love receiving feedback and comments from you girls. Thank You Thank You. In reciprocating the love, I picked out 6 little things as a mini giveaway to commemorate my little blog hitting 60 followers. I immediately thought of the Rimmel 60 secs nail polishes so there are three of them in the giveaway, all time fav colors. Products are all brand new, and are absolutely my favs! Raffle is going to take place on June 1st! LOVE YOU ALL n GOOD LUCK! Hi there, thank you for give me this Sweet Blog Award, I just starting my blog a few days ago and it is really surprised me that you put my name in there, in your nominees. Also, thanks for placing me in your giveaway! may i join your giveaway dear? Thank you so much for the award! So kind of you! And thanks for entering me in your giveaway too. Love your blog! you are such a dollface. thank you so much and thanks for that sweeet comment. it literally made my day. im so glad that i follow youre dear heart! you are truly a doll face. p.s. what an awesome giveaway girl,thanks for entering me sweets! pass to mine and follow me!! THank you for commenting on my blog!! And nice to meet you too, I'm follower # 82!